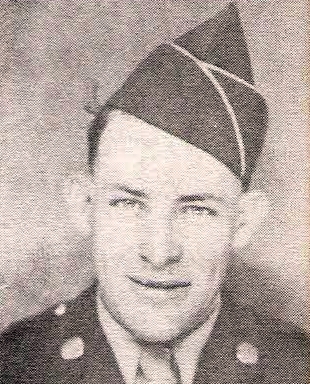 T/5 Edward J. Blalock, husband of Lois Savage, Graham, attended Alexandria Public Schools. Entered Army, 1944, trained at Camp Hood, Tex. Served in N. Guinea, Phil. and Japan. Awarded Victory and APO Ribbons with 2 Battle Stars, Phil. Lib., Inf. Combat Badge. Discharged in 1946.